Tonga's economy is characterized by a large nonmonetary sector and a heavy dependence on remittances from the half of the country's population that lives abroad, chiefly in Australia, New Zealand, and the United States. Much of the monetary sector of the economy is dominated, if not owned, by the royal family and nobles. This is particularly true of the telecommunications and satellite services. Much of small business, particularly retailing on Tongatapu, is now dominated by recent Chinese immigrants who arrived under a cash-for-passports scheme that ended in 1998. The manufacturing sector consists of handicrafts and a few other very smallscale industries, all of which contribute only about 3% of GDP. Commercial business activities also are inconspicuous and, to a large extent, are dominated by the same large trading companies found throughout the South Pacific. In September 1974, the country's first commercial trading bank, the Bank of Tonga, opened. Rural Tongans rely on plantation and subsistence agriculture. Coconuts, vanilla beans, and bananas are the major cash crops. The processing of coconuts into copra and desiccated coconut is the only significant industry. Pigs and poultry are the major types of livestock. Horses are kept for draft purposes, primarily by farmers working their api. More cattle are being raised, and beef imports are declining. Tonga's development plans emphasize a growing private sector, upgrading agricultural productivity, revitalizing the squash and vanilla bean industries, developing tourism, and improving the island's communications and transportation systems. Substantial progress has been made, but much work remains to be done. A small but growing construction sector is developing in response to the inflow of aid monies and remittances from Tongans abroad. The copra industry is plagued by world prices that have been depressed for years. Efforts are being made to discover ways to diversify. One hope is seen in fisheries; tests have shown that sufficient skipjack tuna pass through Tongan waters to support a fishing industry. Another potential development activity is exploitation of forests, which cover 35% of the kingdom's land area but are decreasing as land is cleared. Coconut trees past their prime bearing years also provide a potential source of lumber. The tourist industry is relatively undeveloped; however, the government recognizes that tourism can play a major role in economic development, and efforts are being made to increase this source of revenue. Cruise ships often stop in Nukuʻalofa and Vava'u. Tonga is installing tailor-made policies to power its remote islands in a sustainable way – without turning to expensive grid-extensions. A number of islands within the Kingdom of Tonga are lacking basic electricity supply. In view of the decreasing reliability of fossil-fuel electricity generation, its increasing costs and negative environmental side-effects, renewable energy solutions have attracted the government’s attention. Together with IRENA, Tonga has charted out a renewable energy based strategy to power the main and outer islands alike. The strategy focuses on Solar Home Systems that turn individual households into small power plants. In addition, it calls for the involvement of local operators, finance institutions and technicians to provide sustainable business models as well as strategies to ensure the effective operation, management and maintenance once the systems are installed. ^ "Ease of Doing Business in Tonga". Doingbusiness.org. Retrieved 25 January 2017. 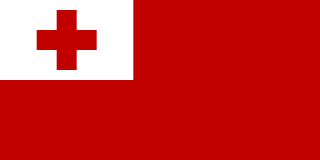 ^ "Exports Partners of Tonga". CIA World Factbook. 2012. Retrieved 1 August 2013. ^ "Imports Partners of Tonga". CIA World Factbook. 2012. Retrieved 1 August 2013. Niue is an island country in the South Pacific Ocean, 2,400 kilometres (1,500 mi) northeast of New Zealand, east of Tonga, south of Samoa, and west of the Cook Islands. 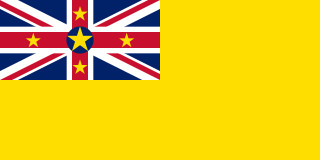 Niue's land area is about 261 square kilometres (101 sq mi) and its population, predominantly Polynesian, was about 1,600 in 2016. The island is commonly referred to as "The Rock", which comes from the traditional name "Rock of Polynesia". Niue is one of the world's largest coral islands. The terrain of the island has two noticeable levels. The higher level is made up of a limestone cliff running along the coast, with a plateau in the centre of the island reaching approximately 60 metres high above sea level. The lower level is a coastal terrace approximately 0.5 km wide and about 25–27 metres high, which slopes down and meets the sea in small cliffs. A coral reef surrounds the island, with the only major break in the reef being in the central western coast, close to the capital, Alofi. A notable feature are the many limestone caves near the coast. Tonga, officially the Kingdom of Tonga, is a Polynesian country and archipelago comprising 169 islands, of which 36 are inhabited. The total surface area is about 750 square kilometres (290 sq mi) scattered over 700,000 square kilometres (270,000 sq mi) of the southern Pacific Ocean. The sovereign state has a population of 100,651 people, of whom 70% reside on the main island of Tongatapu. A per capita GDP of $3,200 ranks Solomon Islands as a lesser developed nation. Over 75% of its labour force is engaged in subsistence farming and fishing.